That’s the ultimate end-goal for our children, isn’t it? We want them to feel good about who they are as Jews, joyfully experience Jewish holidays and traditions, and learn to speak and understand Hebrew. All while feeling enveloped by a fun, loving, and nurturing environment. That is MoEd, in a nutshell. MoEd succeeds at meeting all of these goals with intention. And our children, our families, and our communities reap the benefits. For some families, MoEd is their chief source of Jewish learning. For others, MoEd is but one piece of the puzzle that makes up Jewish learning. And we’re good, either way. 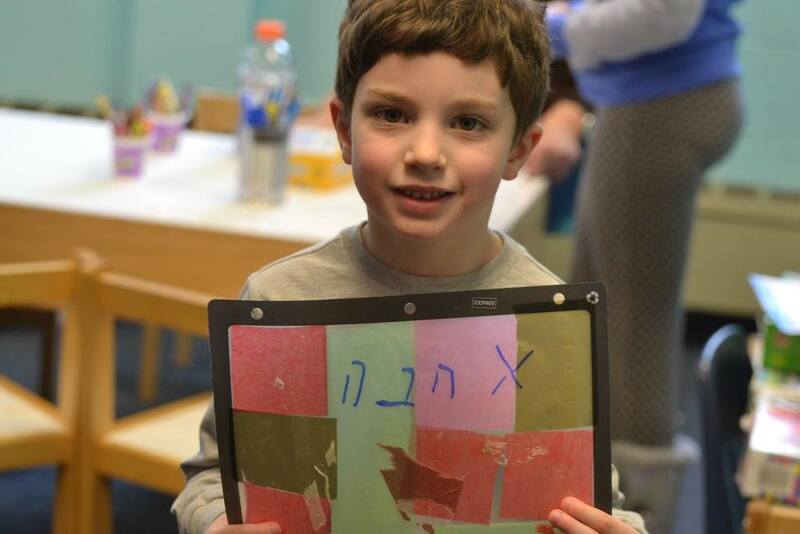 MoEd is an inclusive, pluralistic Jewish afterschool program, located in Chevy Chase, Maryland. We proudly serve many different families in our community - from secular to observant, Israeli to American, Reform to Orthodox, LGBTQ families, interfaith families, families with parents in the rabbinate, and everyone in between. We have day school children and we have public school children. We are one, unified, strong community that comes together to ensure that our collective children receive a high-quality Jewish education, in a fun and informal learning environment. We dip apples in honey on Rosh Hashanah for a sweet new year, and we decorate and spend time in the Sukkah during Sukkot. We cook latkes and sufganiyot on Chanukah, and we learn about the seven species during Tu B’Shevat. We hold a Purim carnival for our community, and we hold a children’s Seder for Pesach. We have a bonfire and sing Hebrew songs for Lag B’Omer, and we celebrate Yom Ha’atzmaut with Israeli folk dancing. And we need your support to ensure that we can continue providing these wonderful experiences to our children and our families. Tuition covers only 85% of our annual budget. Our year-end fundraising goal for 2018 is $18,000, which will ensure that our incredible staff can keep their focus on the students and enhancing a creative curriculum. Your gift of $180 pays for one week of healthy afterschool snacks. Your gift of $360 pays for a teacher to attend a course required to maintain our Maryland child care license. Your gift of $720 pays for a MoEd field trip. Your gift of $900 pays our rent for a month. Every donation helps! Make your tax-deductible donation today. Know others who would love to learn about MoEd and support our mission? Grandparents, cousins, aunts, uncles, friends? Please forward this to letter, and encourage them to donate. Again, any amount is incredibly appreciated. Thank you and todah rabah! Your contribution to MoEd is truly an investment in the next generation of the Jewish community. Your support will allow us to strengthen, teach and promote in­-depth understanding and knowledge of Judaism and Hebrew. Thank you!